Deep amber to burnt orange in color, this cheese is rich and sweet. Crumble some over pasta or salad. When I entered Whole Foods, I normally rarely look at their Hot Deals special sheet. I did this time, saw this three year aged Gouda on the sheet with the above description and was in love. A cheese is not normally on sale like this so I thought I would take advantage. The color on this particular three year aged Gouda is very unique and absolutely gorgeous. A hard cheese for sure, this Gouda definitely has a hint of butterscotch and even maybe caramel. The flavor is unique and takes some getting used to but is overall very enjoyable. It appears that it takes me some time to get used to the unique and complex flavors of hard cheeses. This three year aged Gouda was no different but that doesn’t mean I didn’t enjoy it. 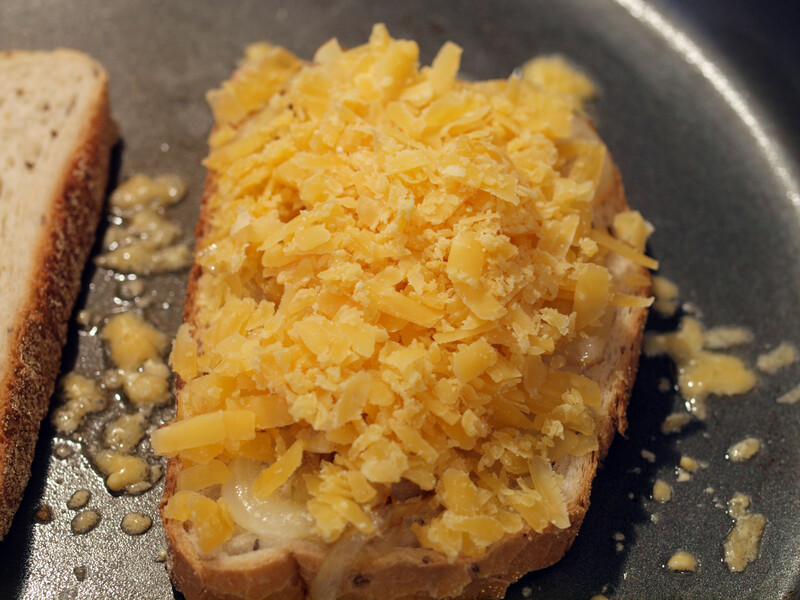 Once the cheese was chosen, it was time to decide what would be on tap for the rest of the grilled cheese. 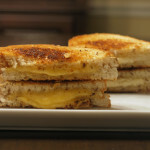 I was willing to just have cheese on my sandwich, but I felt like spicing up this grilled cheese at least a little. I needed something different. My first thought was onions. After having just made French Onion Soup for class and loving the onions, I thought why not caramelize onions? 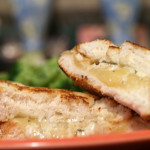 They are oh so delicious and add so much flavor to any dish, including this grilled cheese. 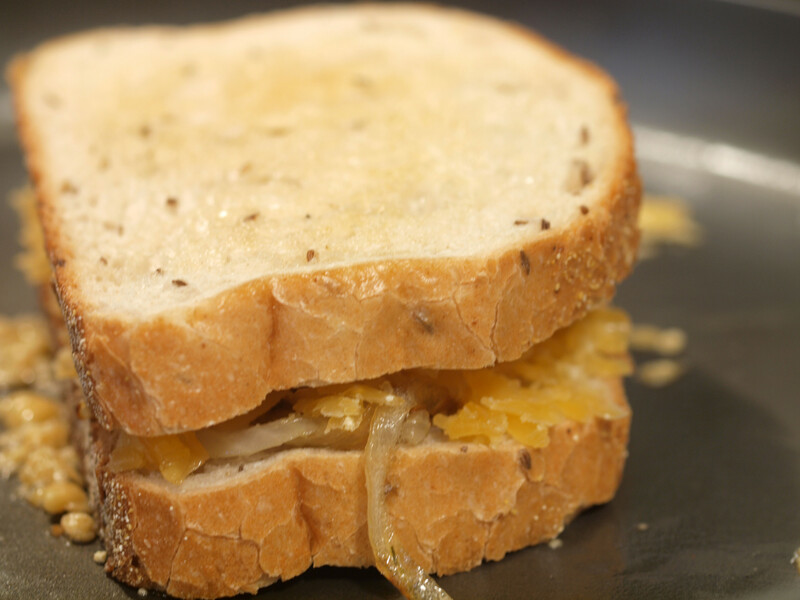 Caramelizing onions is easy but does take some time. Simply slice some onions, put some [olive] oil in a pan and saute. 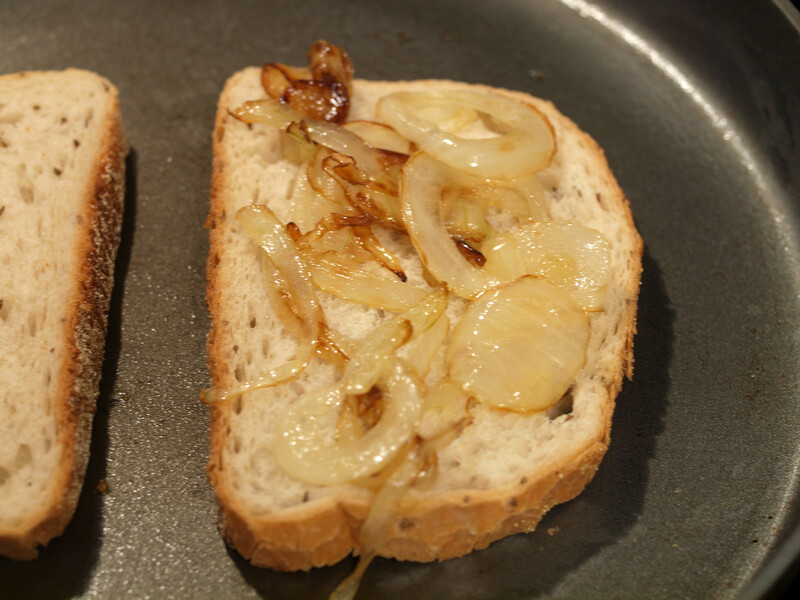 About 15-20 minutes later, you have caramelized onions that are so happy and so yummy. Simply put, I am a bread whore. 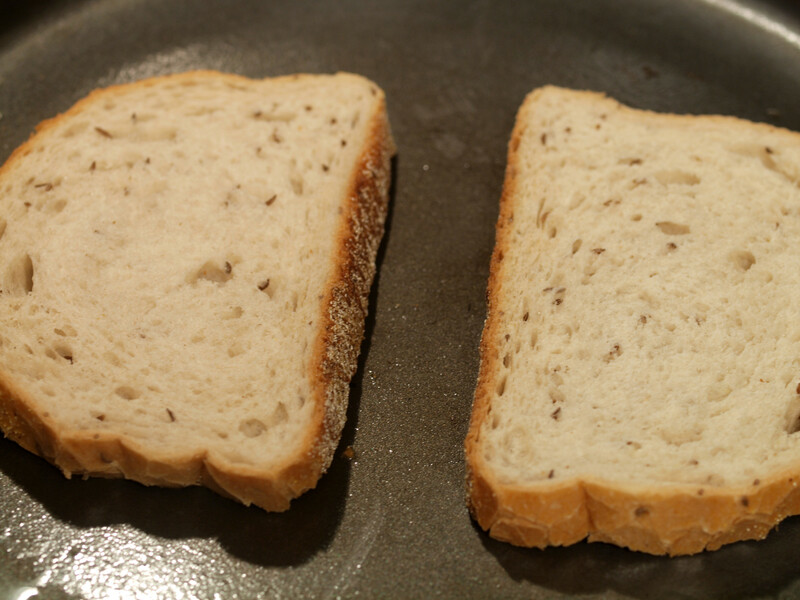 In one sitting, I can practically eat half a loaf without breaking a sweat. I don’t know what it is, I just love bread. Therefore, the sous chef always has a loaf of bread on hand for my eating pleasure. This week was no different where we had a HUGE loaf of rye bread waiting to be eaten. With Passover just around the corner, there was no reason to buy more bread, so why not just use this rye? 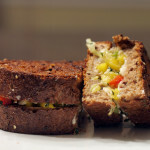 Who doesn’t like a good, hearty rye? 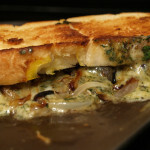 Also, it seemed like the three year aged Gouda and caramelized onions would match perfectly. 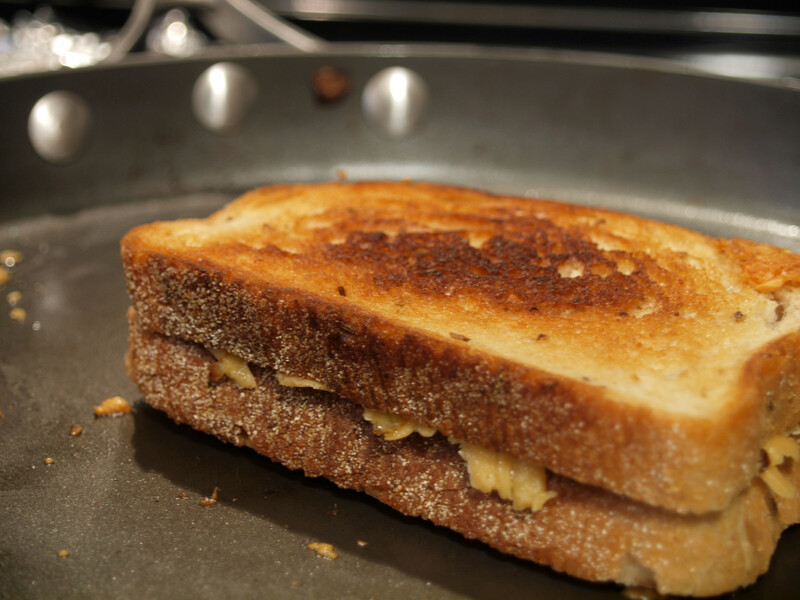 So how was this grilled cheese? 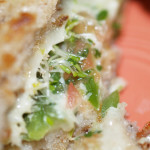 Overall, the overall nutty flavor and creamy texture of the cheese was delicious. The combined flavors worked very well together. However, the minus in “A-” was for the onions. Although they tasted good, their flavor and even their texture, got lost. 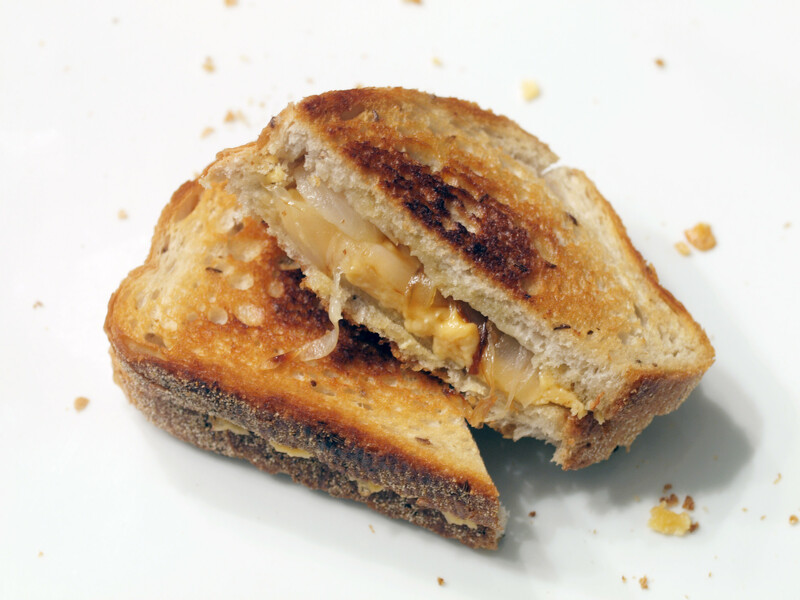 Maybe the grilled cheese needed more onions, that could have been the case, or simply, the combination of the Gouda and rye bread may have been great on its own. 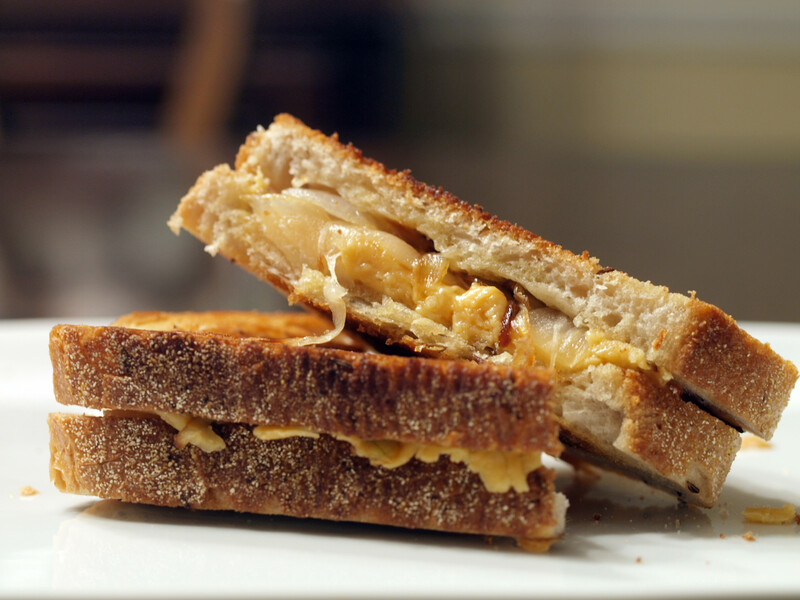 Either way, this Gouda is worth trying plain or in your favorite grilled cheese. Have you ever had ‘Vintage Van Gogh’ or ‘Black Pepper Bellavitano’ cheese? 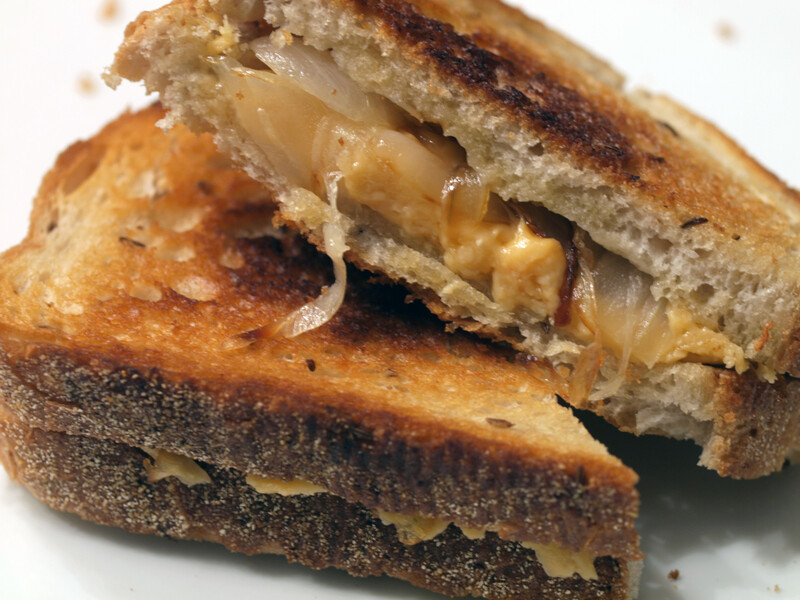 Posted in Grilled Cheese and tagged A Minus, caramelized onions, gouda, grilled, onions, rye.